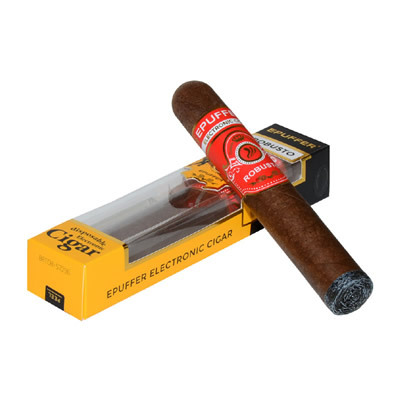 Home/Vaping Blog/News and Press/EPUFFER Launches the Long-Awaited MAGNUM SNAPS E-PACK Starter Kit. 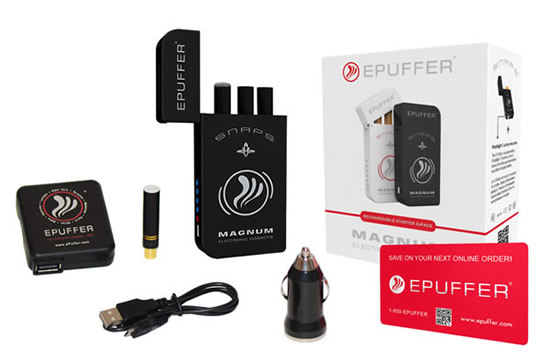 The Long-Awaited ePuffer MAGNUM SNAPS E-PACK Starter Kit is Now In Stock and Shipping World-Wide! 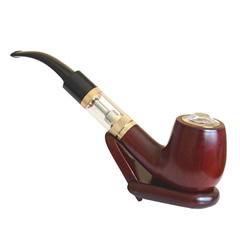 The Magnum SNAPS boasts innovative technology in two separate forms, the electronic cigarette and charging case. Snaps technology features patented magnetic activation and screw-less design, which allows the user to simplify the process of changing a wide array of atomized cartridges. While continually focusing on the user experience, new battery improvements offer an extended lifespan of 400 charge cycles and the cartridge capacity has been increased by 20%. The battery charging case mirrors the design of a standard cigarette pack, but offers sleek durability to protect the Magnum Rev 3 Snaps secured inside. 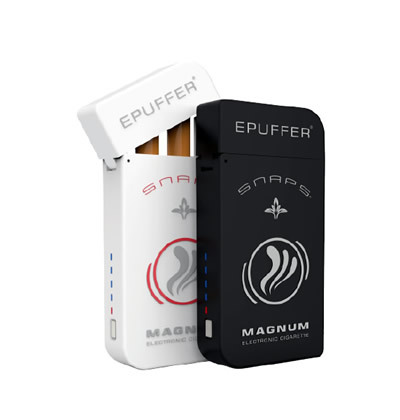 An emergency flashlight is located on the case's exterior as a feature to aid any dimly lit situation.“Those who have had the opportunity to test the product are ecstatic about the quality and overall performance of the Magnum Rev 3 Snaps Electronic Cigarette," says Shawn Shal, Managing Director at EPUFFER International. 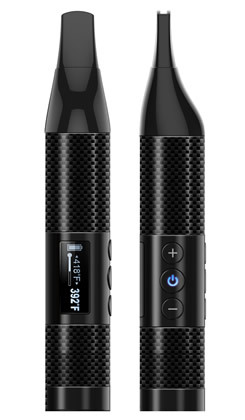 “The product's smooth draw, great vapor production, and long-term performance were highlights among product testers."